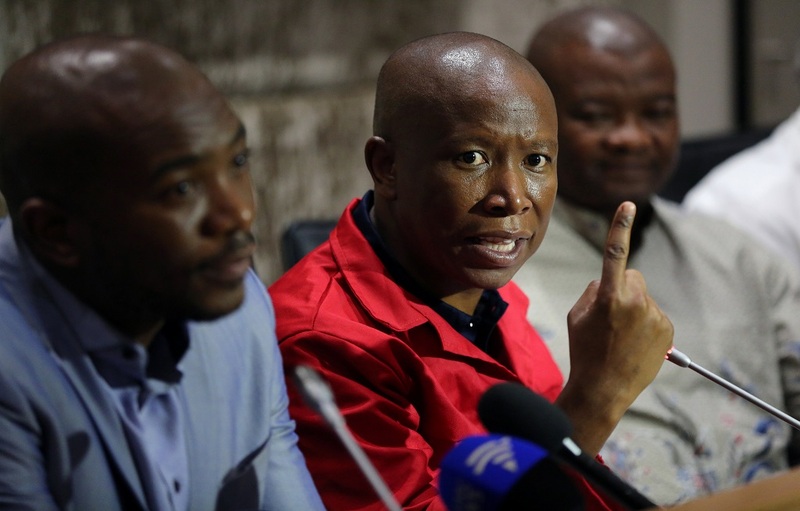 Thursday, August 30, 2018 - South Africa’s maverick politician, Julius Malema, has hit out at Kenyan judges for wearing colonial wigs claiming that Kenya is not fully independent. The Economic Freedom Fighters (EFF) Party leader was addressing the press about the need to achieve total freedom in Africa when he sensationally used Kenya as a country still beholden to Western Powers. “It is through small things that we can achieve the total freedom of South Africa. Like that wig that judges wear, what is that? Does it mean that you can only think when you wear a wig that looks like the hair of white people? “You’re actually wearing white brains…the reason you think properly is because of that wig, according to colonialism. And then revolutionaries allow that to continue in Zimbabwe and in Kenya,” said Malema.